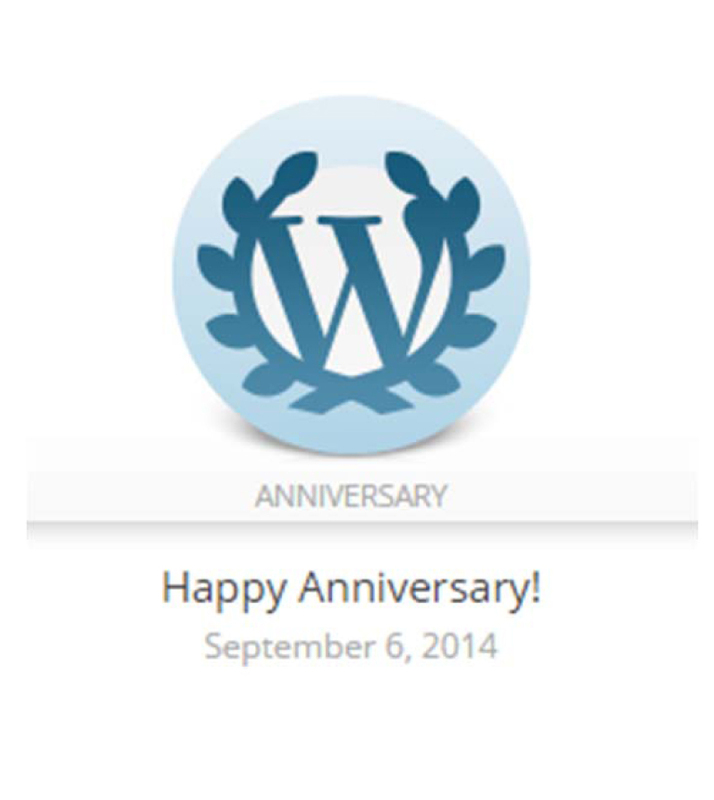 This past weekend I celebrated another milestone…it’s my 2 year blogiversary! I can’t believe it’s been two years. Some days I feel like I’ve been doing this forever. I have been writing ever since I can remember, and this just feels like a natural extension of something I should have always been doing. And then there are some days, were I feel like I don’t really belong here. Like it’s really only my friends, husband and mom who actually read this little space. Alas, I know that isn’t the case. I actually have some followers and I thank you. Thank you for your love and your comments and your likes and your shares. So what have the last two years taught me? A few things, actually. I have learned that if I’m not authentic, why bother? While I’d like to pretend that every blog I write is a masterpiece, let’s be honest sometimes it’s slapped together. I put pressure on myself to get a post up because I haven’t written in a while, and so I may not necessarily put my whole heart and soul into everything I write. That inauthenticity comes through loud and clear and so I’ve learned that regardless of the length of the post, I have to be real. Or don’t bother. I struggled for a long time about my wishes for where I wanted my blog to take me. I started on my Little Bird’s first day of JK, and then sort of wrote for myself. I didn’t tell anyone about it; it was just me and my computer. A couple of months later, I attended the ShesConnected Conference for work. I wasn’t there as a blogger, but I met hundreds of them. And seeing how they were there to connect with brands had me thinking this was something I wanted to do. So I actually started putting myself out there. I’ve never been a brand ambassador for any product or brand; my blog is my blog. I write about what I want and nobody pays me for anything. I still follow a lot of these women that I met a couple of years ago, and some of them have taken the art of blog ambassadorship to a whole new level. To those few who do it well, I applaud you. Unfortunately, I think there are some who just work with these brands for the money, or free samples, or whatever else their compensation entails. I’m not judging – you do what you gotta do! I just think that it comes across as inauthentic. And reading a blog where I don’t feel like I’m getting to know the writer leaves me feeling disconnected. And if I’m disconnected, than why should I want to come back? Just to enter another contest, or read your review on the latest snack/drink/book/face cream? No thanks. I do want to say that as a marketer, and somebody who works for a company that uses blog ambassadors, I think there are some of these bloggers that do a stand-up job. It is a brilliant way to connect with new people/customers, and get your message and brand out there outside of traditional advertising. As a reader and follower, I want to feel connected to you and your personal brand – your blog. So I’m not interested in selling out. But I am still interested in working with brands in a different way. I am excited to say that I have gotten the opportunity to with the amazing Dove Canada and Yummy Mummy Club on a workshop series coming in the Fall (next month) for moms and daughters. (#ymcbeautifulyou) This is something that is important to me. Self-esteem, body image and self-worth are things I have written about before and the fact that I can take part in a workshop to help moms and daughters start this conversation is amazing. This is not selling out. This is authentic and important and helps girls feel better about themselves. It is something that brings tears to my eyes and fills my heart and I look forward to sharing that experience with you. This is a no-brainer, but there are some days where it seems impossible. After working all day, coming home to make dinner and take the kids to their activities, get them ready for bed, I end up on the couch and the last thing I want to do is write. But I vowed to do so and while I have not kept up my end of the bargain all of the time, I am trying. I’m a post-it note girl; meaning I have little notes, ripped pieces of paper, little doodle pads stuck to my phone and in my purse with ideas for blogs and stories and tweets all the time. Sometimes the moment passes, and sometimes I actually make the time to write about it. I’ve been like that forever. If I write it down, it will happen. So we’re going to try to fit my blog into my priority of things moving forward. It may not end the post-it notes everywhere, but it will help to reduce the amount of them floating in my purse and in my car. It’s important to me and I have to schedule it into my life, like I schedule everything else. Thank you to my followers. I have seen the number grow and I appreciate you coming on the journey with me. I may just be a working mom with two girls and regular problems, but I love to connect with people. I have made friends across the globe thanks to this blog, and I am grateful to have met them. I find it amazing that no matter where in the world we live, all parents struggle with the same things; finding a way to balance life and give your kids the strongest foundation for them to grow. The love we have for our children is universal. The rest is in the details and the daily laughs. So thank you for your likes, your follows and your comments. It means a lot. I look forward to the year ahead and where my blog can take me and where it will go. I look forward to learning from other bloggers and friends. I look forward to growing as a writer. I look forward to new adventures with my Little Bird and Little Mouse and D. I look forward to being able to speak my mind and write freely. Since this is Music Monday, I thought Boom Clap by Charli XCX was appropriate for the way I feel about my blog, my anniversary, my followers and my family. The line “You’re the glitter in the darkness of my world” captures it all. Cheers to the beat going on and on and on….